Roland AS-1 sustainer is just great at doing just that.....sustaining! 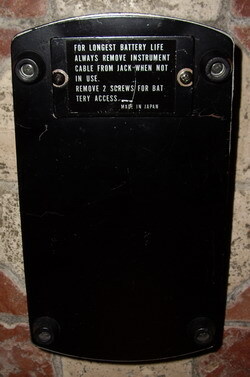 Near Mint Conditions and full working order ! It combines optical compression with transistor distortion, for a long-sustaining singing tone with minimal dynamics. 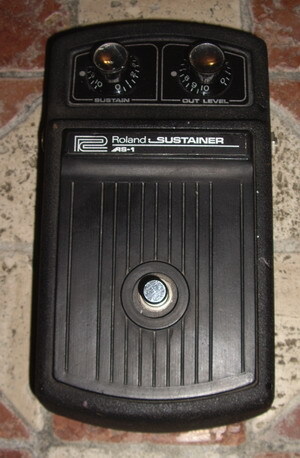 Roland AS-1 Sustainer: This is one of Roland's earliest pedals, before they created the Boss brand name. 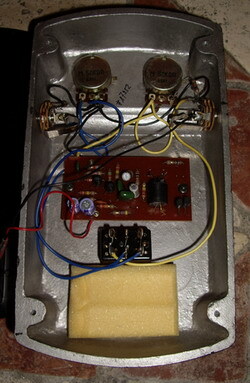 It combines optical compression with transistor distortion, for a long-sustaining singing tone with minimal dynamics. It actually has a beautiful tone, with lots of bite. The distortion is very natural and light, not over-the-top. There's no loss of highs, but the lows are gutted completely. This sound was meant for lead guitar tones flying over the band mix. Because the dynamics are flattened, it also brings all of your hammer-ons, light strums, and other small notes to the forefront. 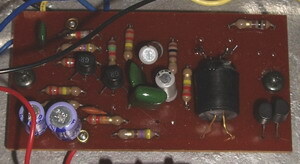 Surprisingly, it's not all that noisy on its own, but it definitely amplifies any noise that's already in your signal path.